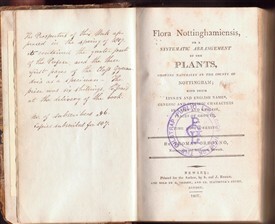 In Howitt's Flora of Nottinghamshire (p191) it is stated that "the Rev. J.T. Becher first discovered this to be a distinct species". 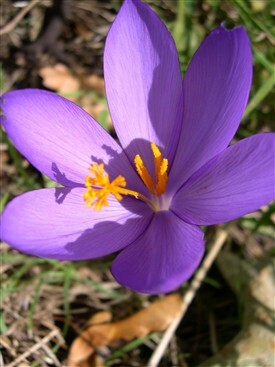 Crocus Nudiflorus: Also in a small close on the left hand side of Wood Lane, going from Nottm. 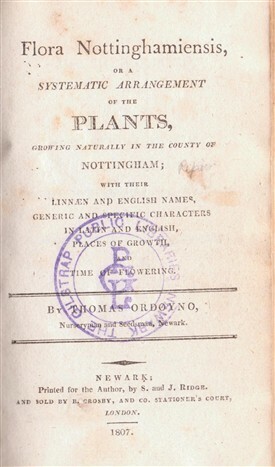 to St.Annes [sic] Well, before you come to the fields thro' which the foot way passes; - sparingly in 1820. 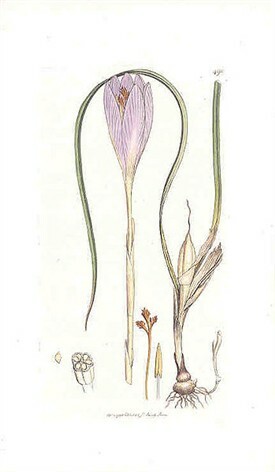 Note: in a collection of dried plants made byTutin (who assisted Deering) there is a specimen of crocus nudiflorus labelled 'calchicum'. This collection is now in the possession of Mr M. Roe. The Notts Biodiversity Action Group has identified the species as a Local Biodiversity Action Plan species for Nottinghamshire, meaning that it has been identified as a species of high value within the county and that work is being undertakento help to conserve it.. This page was added by Website Administrator on 29/07/2014.